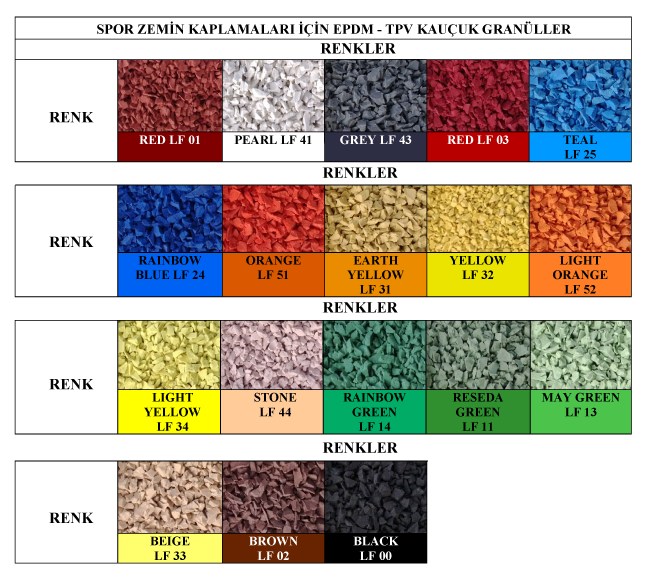 We, Tinaz Kauçuk Company, have been manufacturing and selling Lay-Flex which is our own trade mark and EPDM granule PU Binder since 2011. 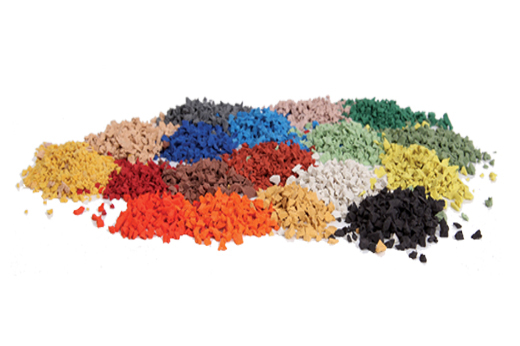 Granule containing EPDM and PU Binder provided in barrels with 220 kg are sold in order to be used in Indoor Sport Facilities, Cinder Paths, Tennis Courts and Playground. •	Availability of wide range of colors for floors some kind of carpet. 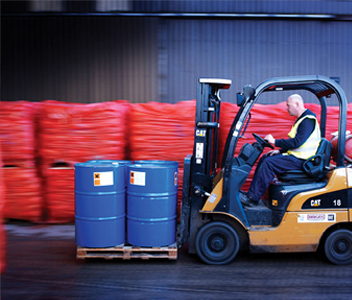 Polyurethane binder which is used as a combiner in cast-in-place EPDM coverings, is provided in barrels with 220 kg.